Spring is in the air! 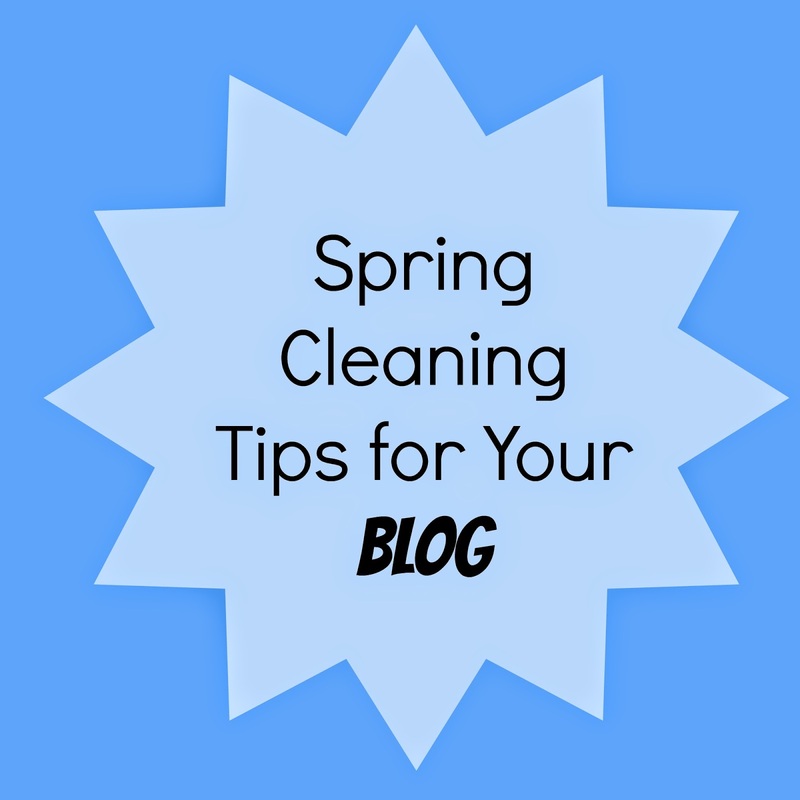 We all know it means time for some spring cleaning around the house and your blog should be the same way! Social Media check up ... Are all the names the same? If not take some time to clean up and change your handles to the same name. It makes it soooo much easier for people to find and follow you. Although double check to make sure you're not in a giveaway or something because that will mess things up ... I know this one from experience! To follow or not to follow ... Look through your following list. Check to see the last time everyone posted. Do you have multiple people who have fallen off the internets and haven't posted since January? Unfollow. About Me Page ... What does your about me page and blurbs say? Did you have a big event happen like say a 30th birthday that puts you out of the 20 something category. Do a quick update of those type of things. Bonus points if you sit down and actually update the entire thing. It's good to reevaluate and do this once and a while. Fix your dates ... No I don't mean that guy you went out with last week. I mean the date stamp on your blog posts. Nothing drives me more nuts when I can't figure out the last time someone posted to see if they've actually posted this month or if someone refers to a post from this past April 14th and yet when I look in April none of the posts have dates so I have to scroll through the entire month. Make some If This Than That recipes ... I had heard about If This Than That a while ago but didn't really pay attention. A few weeks ago I decided I should actually look at what I could do with it. Well let me tell you there are some awesome things. How it works is you connect it to your social media and then make up recipes that the website will post for you. One example is you can write a recipe for your blog. If you post a new blog post then it shares the title of said post on twitter. Get it? if This Than That ... Yeah ... I figured out recently that with ITTT you can have it share when you post on Instagram on twitter but it will look like you wrote it through twitter. In other words it actually shares the photo not just saying you posted on Instagram with a link. I think that alone makes it worthwhile to set up some recipes on ITTT! Hopefully these couple of spring cleaning suggestions will help you get pumped for spring and summer on your blog!! What is your best spring cleaning tip on the blog?